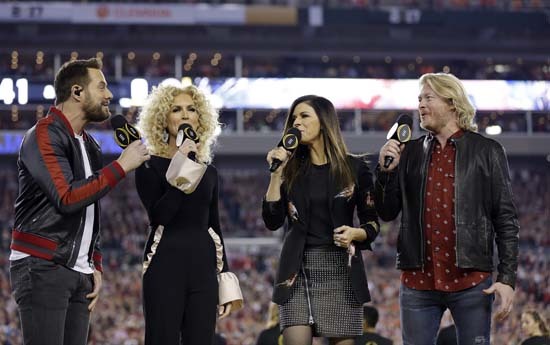 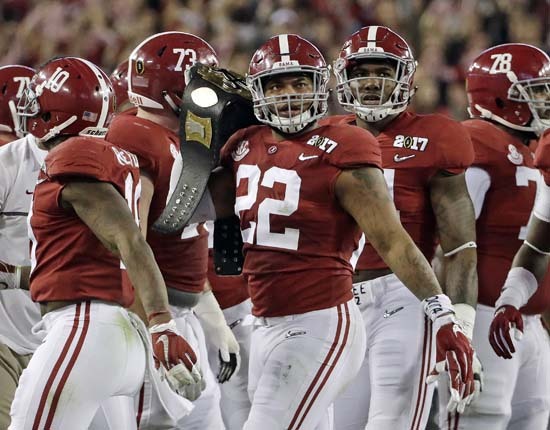 TAMPA, FL -- College football's first national championship rematch was fitting sequel to the original, with an unusual twist at the end. 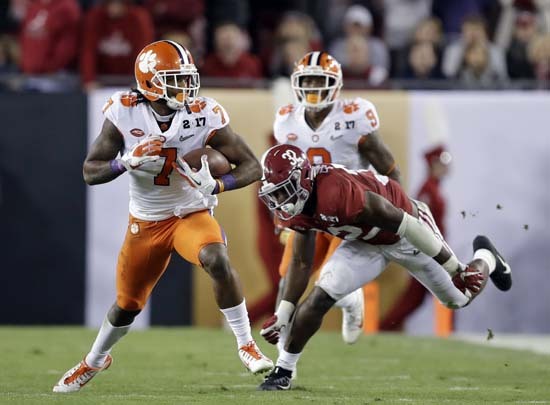 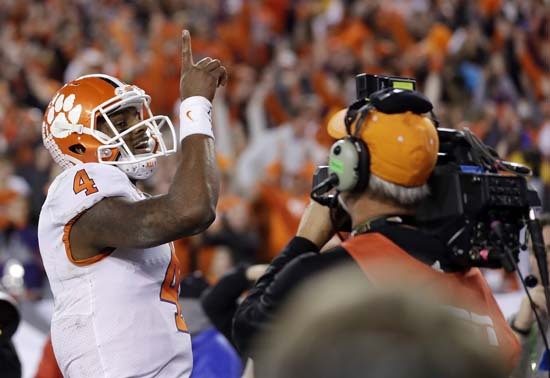 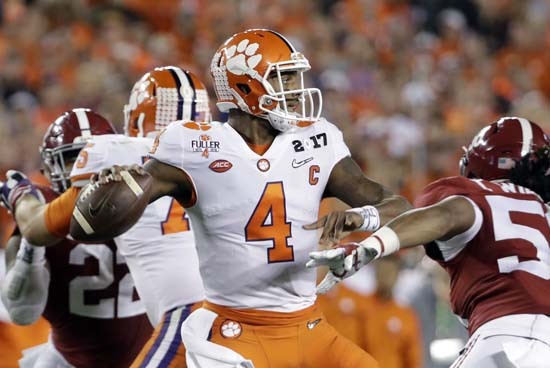 Deshaun Watson and Clemson dethroned the champs and became the first team to beat Nick Saban's Alabama dynasty in a national title game, taking down the top-ranked Crimson Tide 35-31 Monday night in the College Football Playoff. 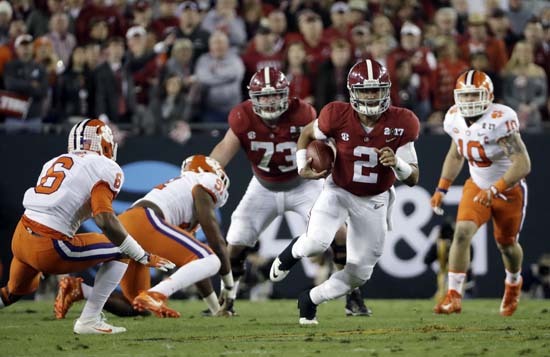 Watson found Hunter Renfrow for a 2-yard touchdown pass with a second remaining to give the Tigers their first national championship since 1981. 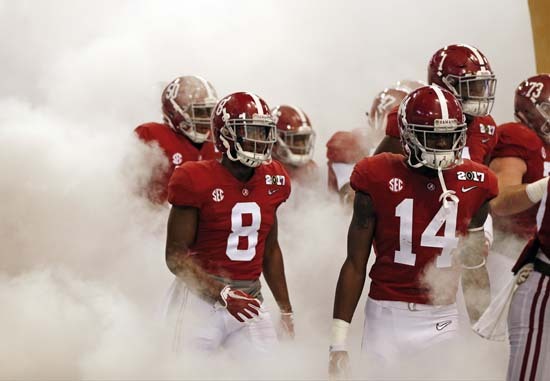 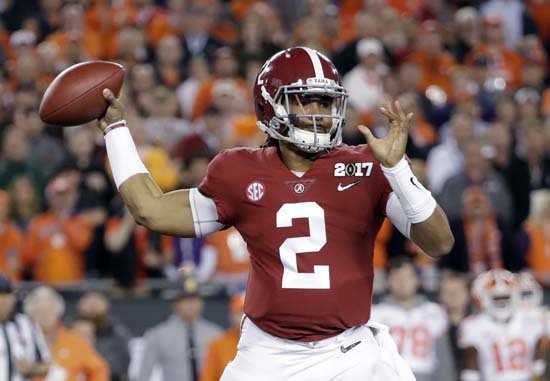 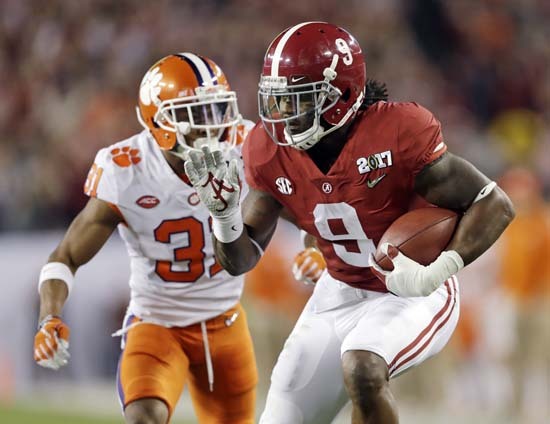 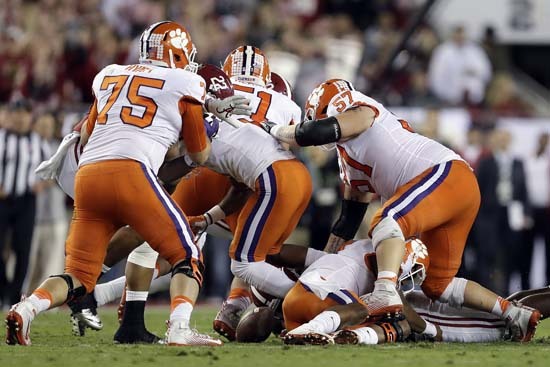 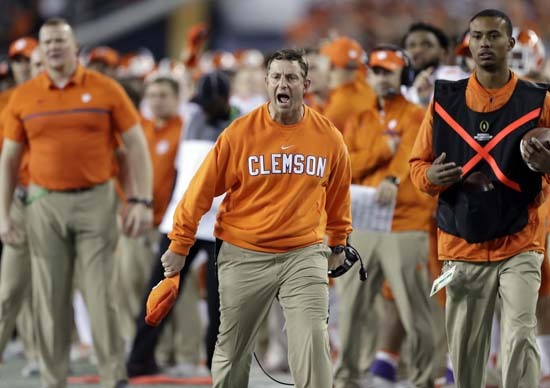 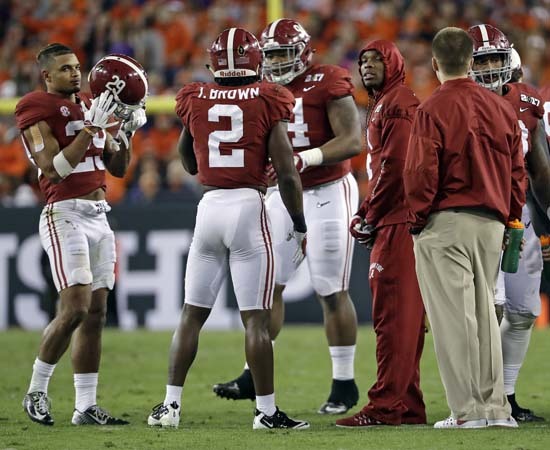 A year after Alabama won its fourth title under Saban with a 45-40 classic in Arizona, Clemson closed the deal and denied the Tide an unprecedented fifth championship in eight seasons. 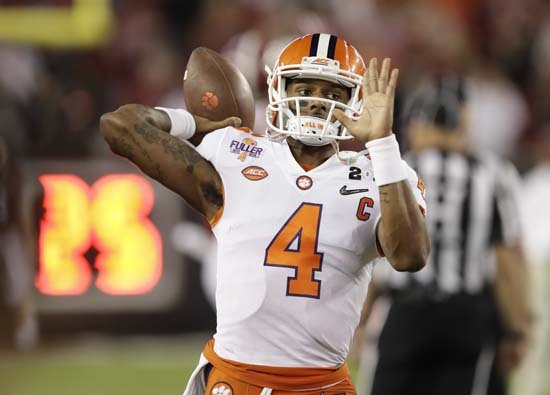 The lead changed hands four times in the fourth quarter, but Watson got the ball last. 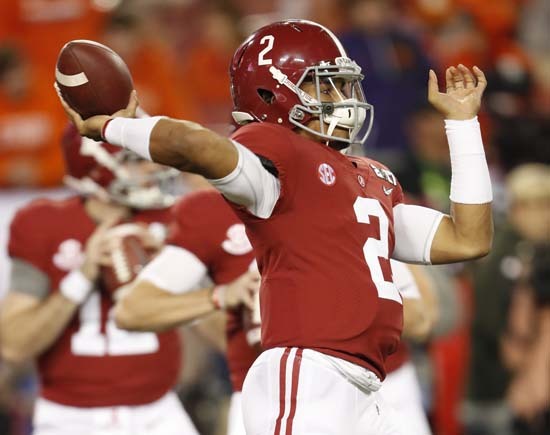 Likely playing in his final college game, the junior quarterback threw for 420 yards and three touchdowns. 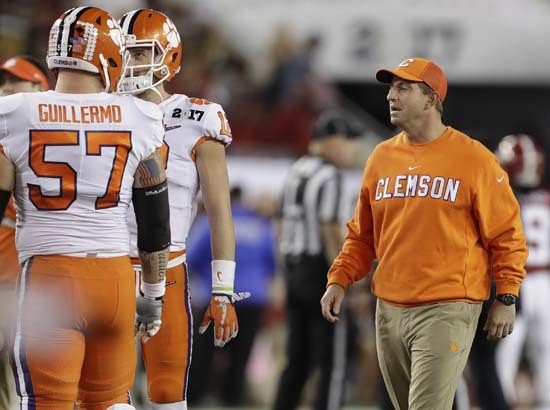 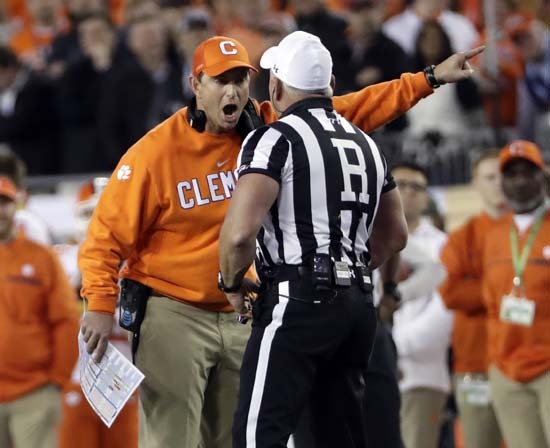 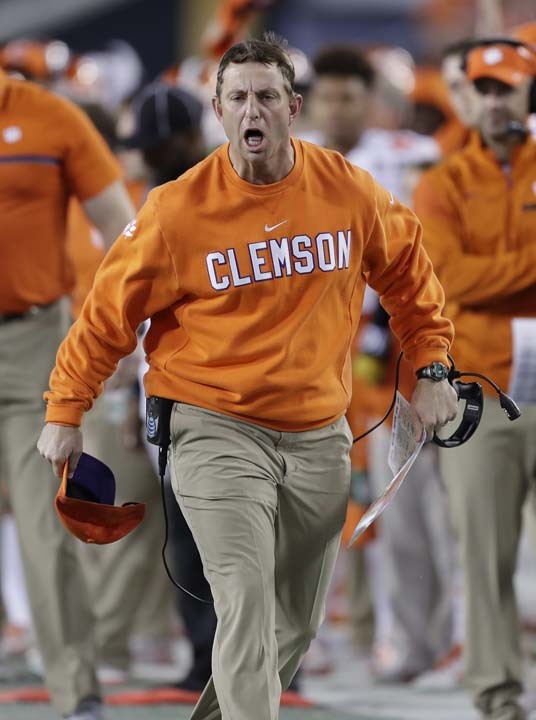 Coach Dabo Swinney had built an elite program at Clemson that was missing only one thing, and now the Tigers can check that box, too. 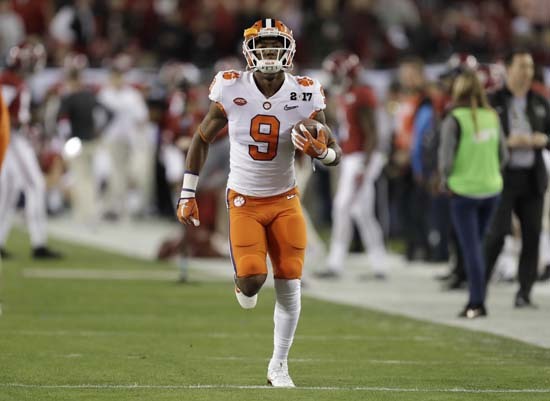 The Tigers took a 28-24 lead with 4:38 left in the fourth quarter when Wayne Gallman surged in from a yard out. 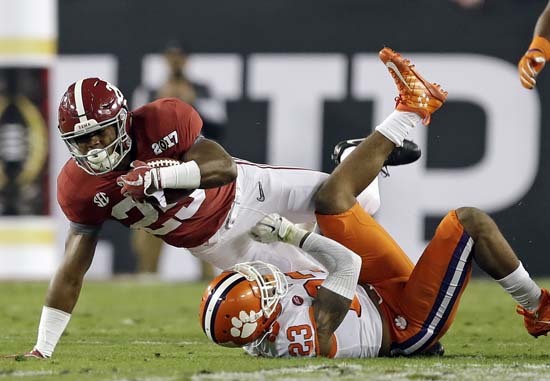 On the next play, Hurts broke free from a collapsing pocket and weaved his way through defenders for a 30-yard touchdown run to make it 31-28 with 2:07 left. 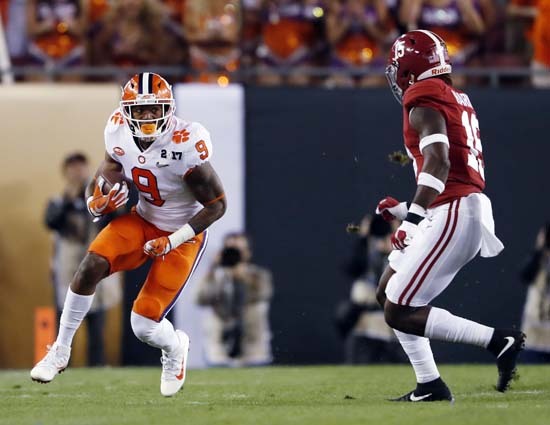 More than enough time for Watson, who hooked up with Mike Williams and Jordan Leggett for great catches and big gains to get to first-and-goal. 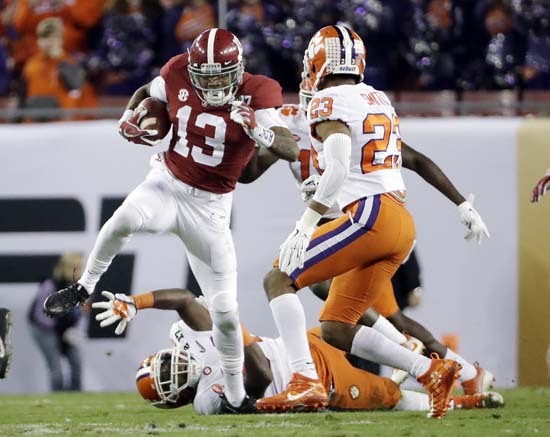 A pass interference on Alabama made it first-and-goal at the 2 with six seconds left. 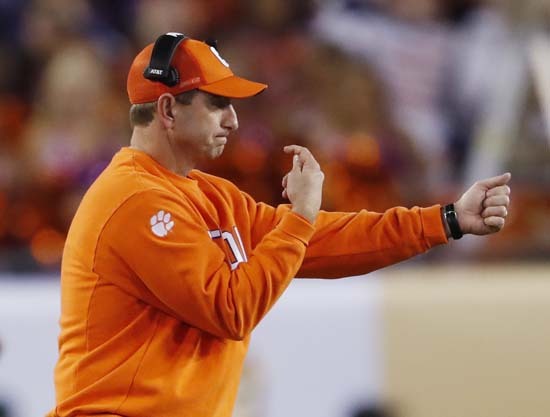 Time for one more play to avoid a tying kick and potential overtime. 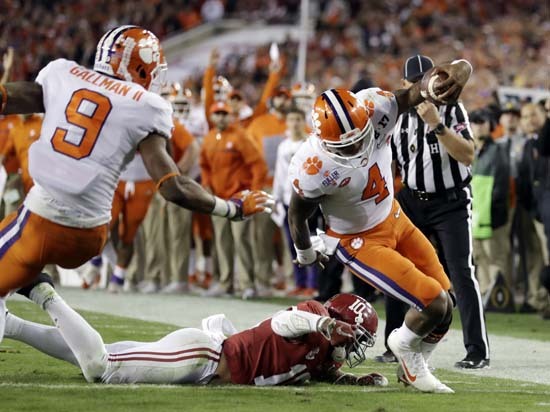 Renfrow slipped away from the defense at the goal line and was alone for an easy toss. 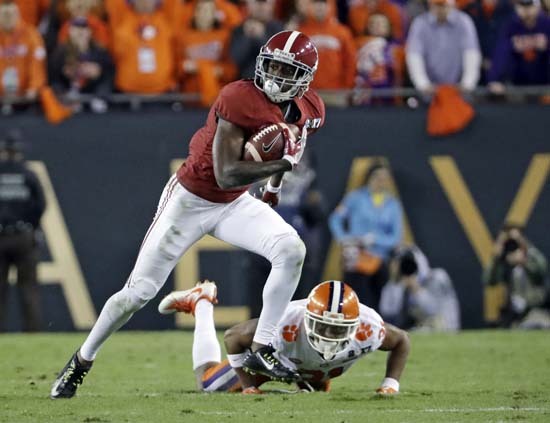 It was the walk-on receiver's second TD catch of the night, adding to the two he had last season against Alabama. 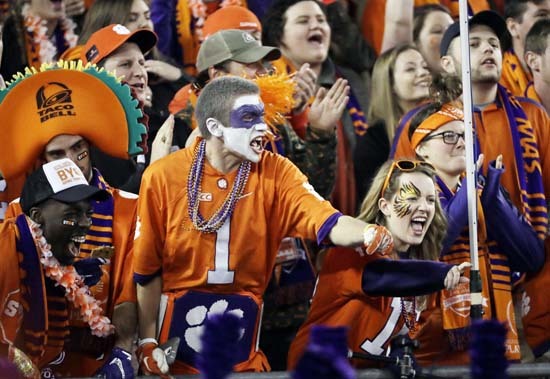 When it ended Clemson's 315-pound defensive lineman Christian Wilkins did a cartwheel and Ben Boulware, one of the toughest linebackers in the country, was in tears.